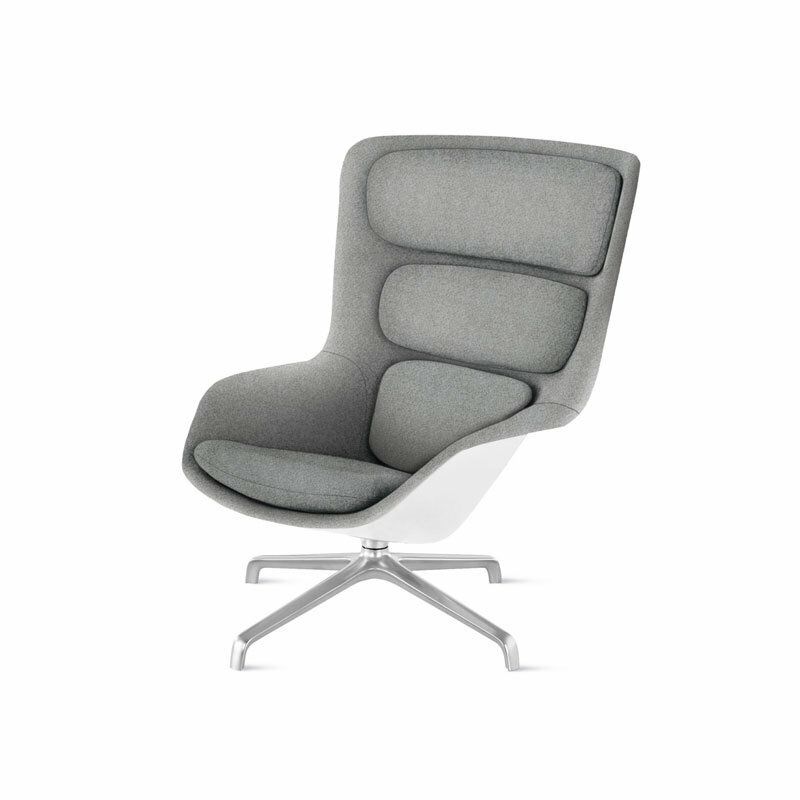 Introducing a new classic from Herman Miller, the company behind the Eames® Lounge, Aeron® Chair and other revolutions in comfortable seating. To create the Striad™ Chair (2016), Herman Miller partnered with German designers Markus Jehs and Jürgen Laub, who’ve been creating innovative furniture, lighting and interiors – including Suite 606 at the Icehotel® in Sweden and the master concept for Mercedes-Benz® showrooms – since founding their Stuttgart studio in 1994. In everything they do, Jehs and Laub are dedicated to staying true to the form, materials and function of an object. "How a design looks should not be far from what it does," says Jehs. "Function brings its own aesthetic." Case in point: The form of the Striad Chair stems from the designers’ goal to deliver unbelievable comfort. To achieve it, they created the chair in layers, like a ski boot. It has a rigid outer shell for stability, a softer inner shell that’s molded to cradle the human body, and perfectly positioned cushions for ergonomic support. Together, these layers deliver the premium experience of supple, total-body comfort in a timeless, graceful form. Made in U.S.A.